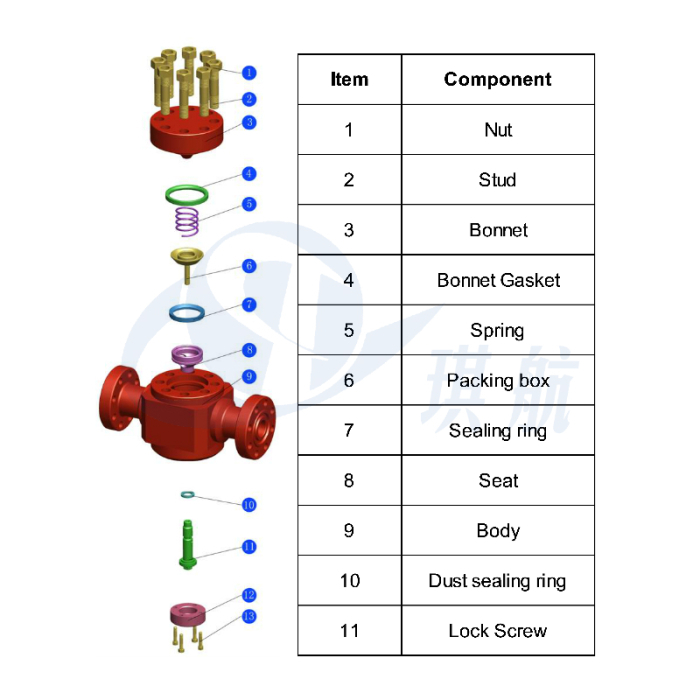 API 6A Check Valve, also referred to non-return valve, or one-way valve, is a valve that normally allows fluid (liquid or gas) to flow through it in only one direction. An important concept in check valves is the cracking pressure which is the minimum upstream pressure at which the valve will operate. 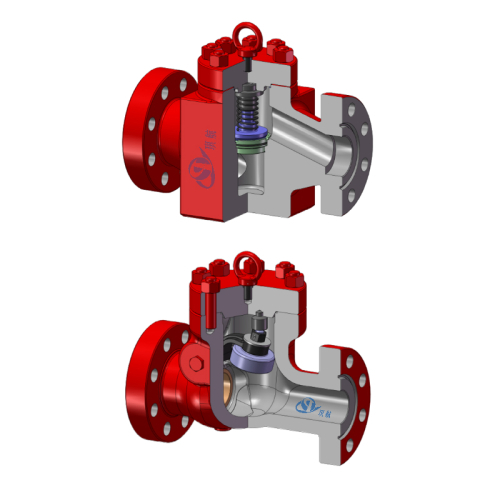 Typically the check valve is designed for and can therefore be specified for a specific cracking pressure. The API 6A check valve incorporates a metal-to-metal seal for high-pressure, high-temperature environments where elastomer seals can't be used. 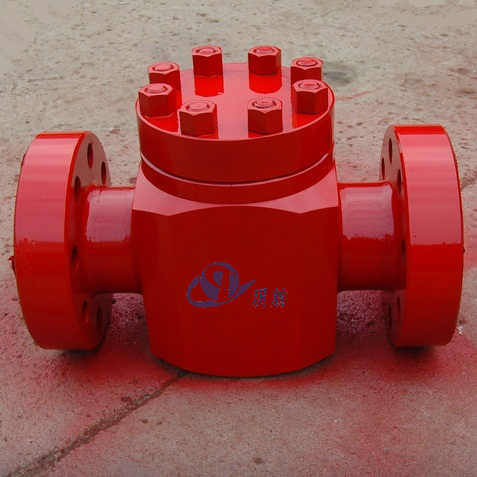 Primary applications for the check valve are high-pressure mud choke manifolds and high pressure Christmas tree injection and kill lines. 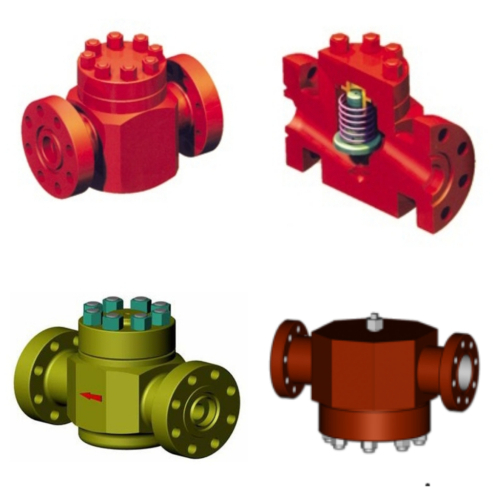 The Check Valve can be used with oil, gas, water, or drilling fluids and are available in all temperature and material classes. 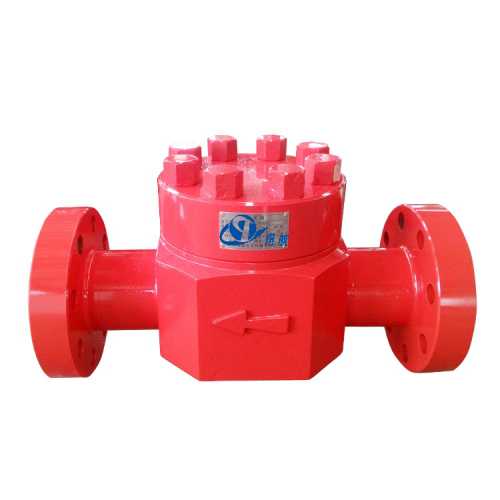 We can produce both swing type check valve and lift type check valve. Available in bore sizes from 1-13/16" to 7-1/16" and pressure ratings from 2,000 to 15,000 PSI. The standard material is forged AISI4130 alloy. 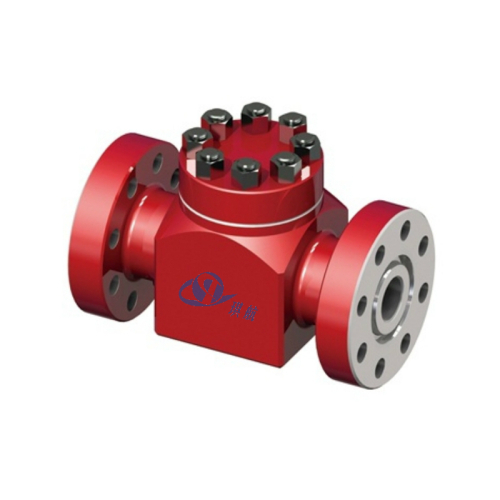 All of our Check Valves are fully designed, manufactured, and tested as per API 6A and API 16C standards and have been widely used on oilfield wellhead christmas tree and manifolds with reliable performance. We can also design and manufacture according to customers' specific requirements. Nominal Bore: 1-13/16" - 7-1/16"
Sealing is energized by flow fluid pressure, sealing performance gets better while pressure increasing. Hard-faced sealing surface and sulfur-resistant core material assure fine performance of wear-resistant and corrosion-resistant. Integral forged body with fine mechanical properties. Check valve shall be hydro tested prior to delivery for safe performance. 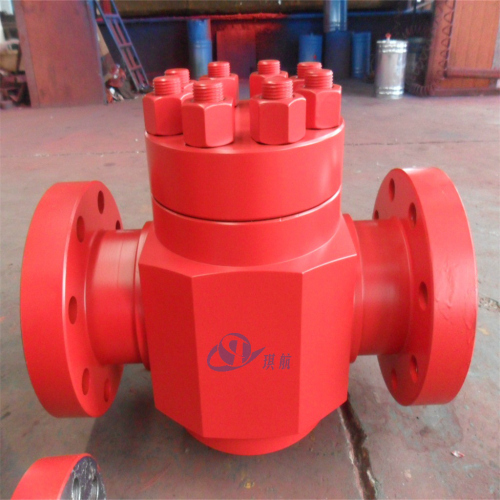 Qihang produces Top Quality API 6A Check Valves at Truly Competitive Prices.